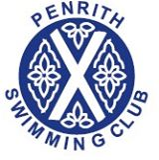 Penrith Swimming Club strongly advises it’s members to make use of the British Swimming ranking services. Please use the links below for quick and easy access to the system. A list of (and access to) all the ranking services offered by British Swimming. By entering your ASA number you can search for and view your own personal best times for the last 12 months or all time. Want to know where you are ranked against other members? By entering your ASA number you can search for and view your ranked position in the last 12 months or all time.